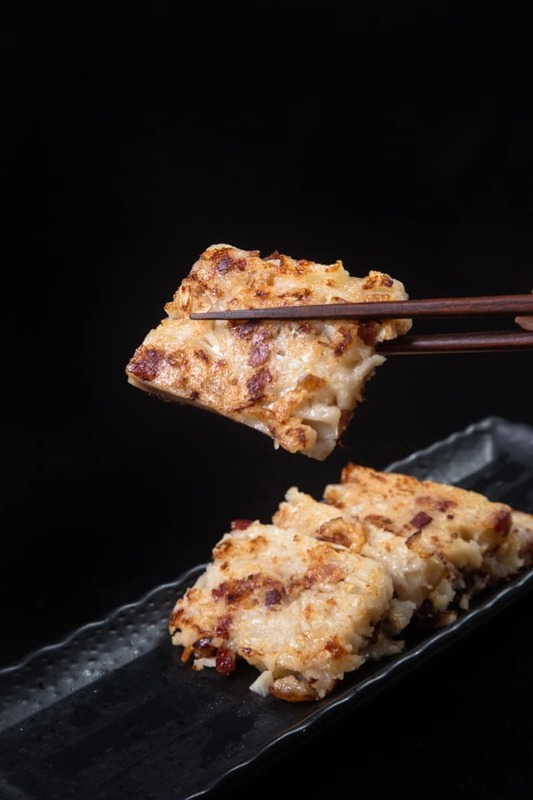 Make Dim Sum favorite Instant Pot Turnip Cake or Chinese Radish Cake (Chinese: 蘿蔔糕 aka Lo Bak Go or Luo Bo Gao)! Fragrant umami bites that are slightly crisp on the outside and creamy soft on the inside. A delicious classic Chinese New Year Food that symbolizes “good fortune”. Pan-Fried Turnip Cake (Chinese: 香煎蘿蔔糕) or Stir-Fried Radish Cake with XO Sauce (Chinese: XO醬炒蘿蔔糕) is one of my favorite dim sums when we go yum cha!! Turnip Cake is also one of the reasons why I love Chinese New Year as a kid! Every year, my mom would buy symbolic CNY goodies like chocolate golden coins, melon seeds, dried candied food to fill our traditional Chinese Candy Box (Chinese: 攢盒 aka 全盒). 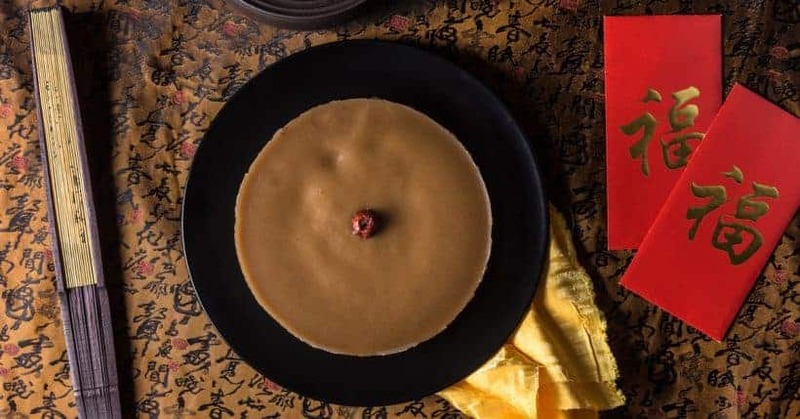 Then we’d make a few batches of CNY Cakes – both sweet Nian Gao (Chinese: 年糕) and savory Lo Bak Go (Chinese: 蘿蔔糕). 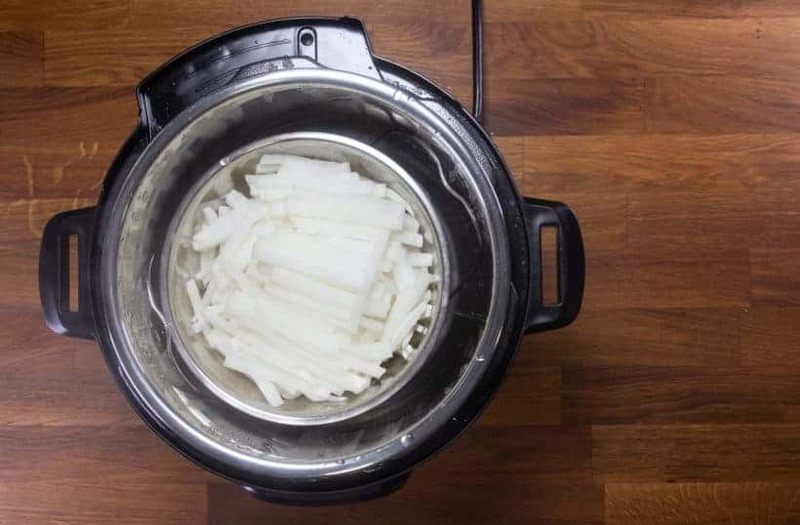 Time to make your own delicious Instant Pot Turnip Cake! 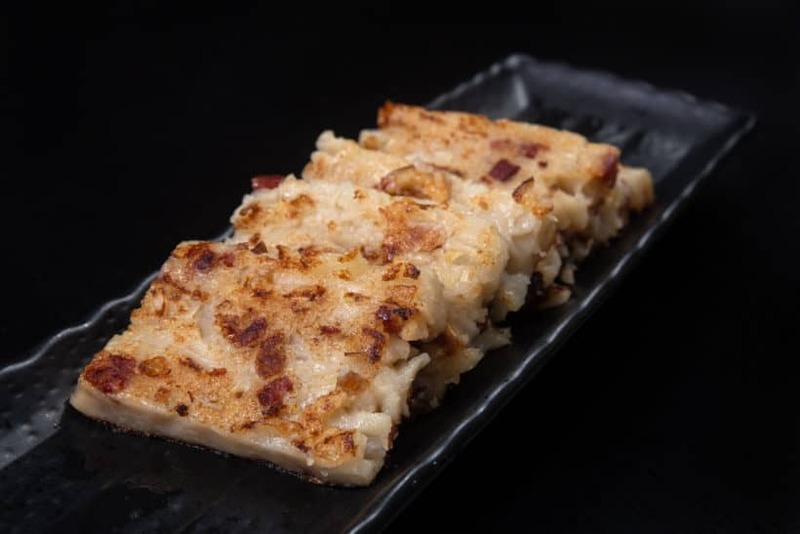 Dim Sum favorite Instant Pot Turnip Cake or Chinese Radish Cake (Chinese: 蘿蔔糕 aka Lo Bak Go or Luo Bo Gao). A delicious classic Chinese New Year Food that symbolizes "good fortune". 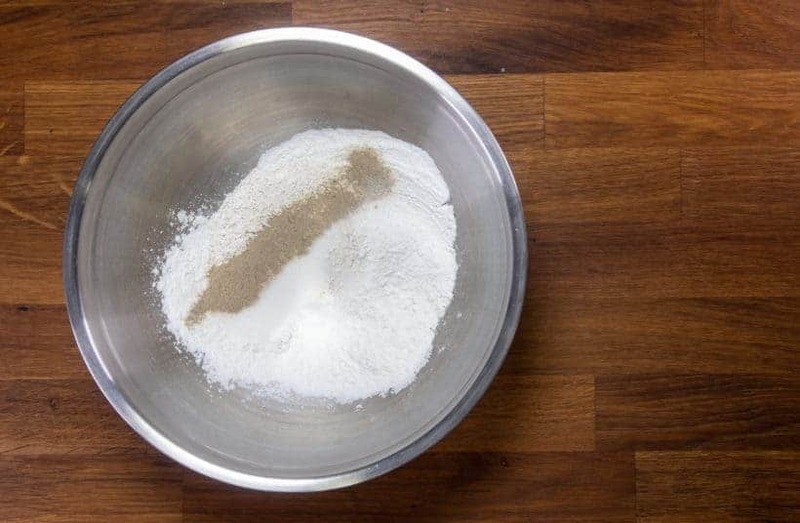 Create Rice Flour Mixture: While the Chinese turnips are pressure cooking, create the Rice Flour Mixture. 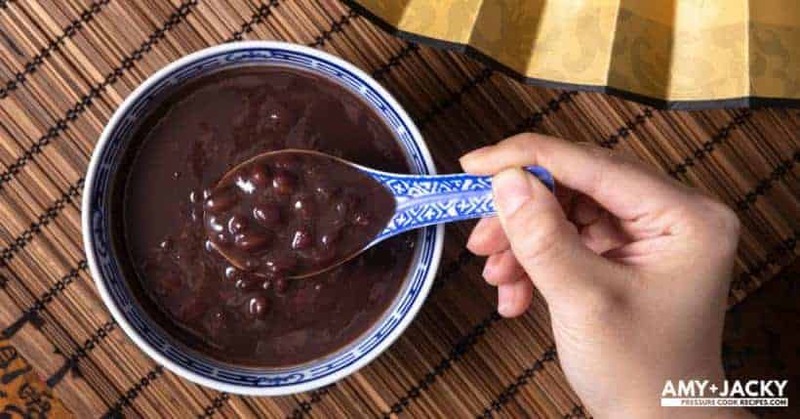 In a large mixing bowl, add 1/3 lb (150g) rice flour, 2.5 tbsp (30g) water chestnut flour, 1 tbsp (15g) sugar, ½ tsp (1.5g) white pepper, 1 tsp - 1.5 tsp (5g - 7.5g) table salt. Give it a quick mix with a spatula. Pour ⅓ unsalted chicken stock in the rice flour mixture. Mix thoroughly with a spatula. Pour another ⅓ unsalted chicken stock in the rice flour mixture, then mix thoroughly again. Repeat this one more time, so a total of 1 cup (250ml) unsalted chicken stock are added into the rice flour mixture. 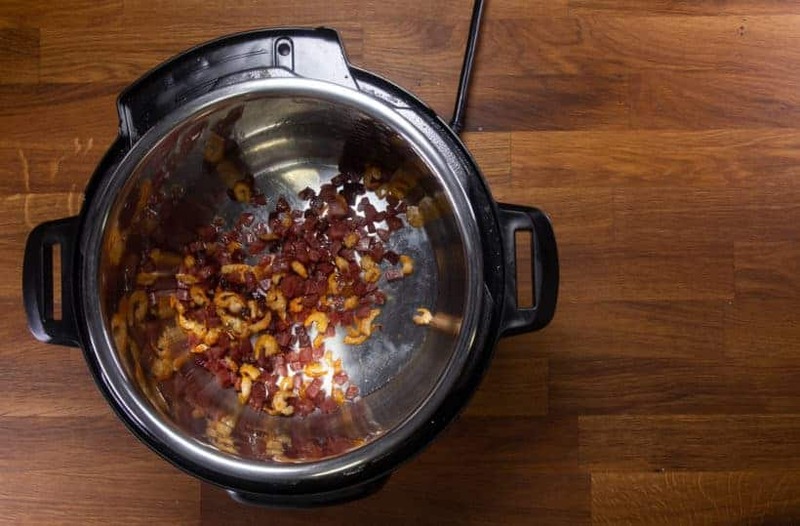 Saute Cured Meat: After the Chinese turnip is done pressure cooking, set aside the turnip and trivet. Discard the water, then towel dry the inner pot. 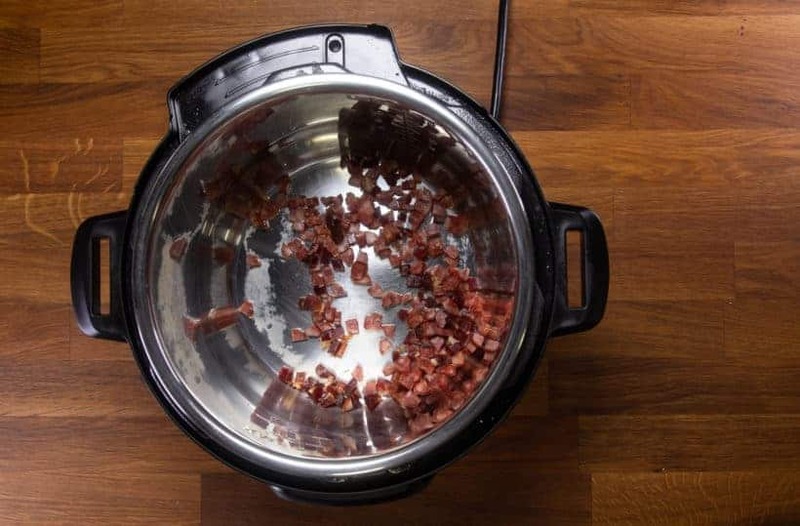 Add in 2 (80g) chopped Chinese Sausage (臘腸) and 2.5 tbsp (40g) chopped Chinese Cured Meat (臘肉). 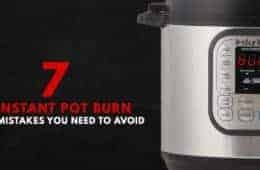 Heat up Instant Pot using Sauté More function. *Tip: For older version, press “Saute” button, then “Adjust” button. 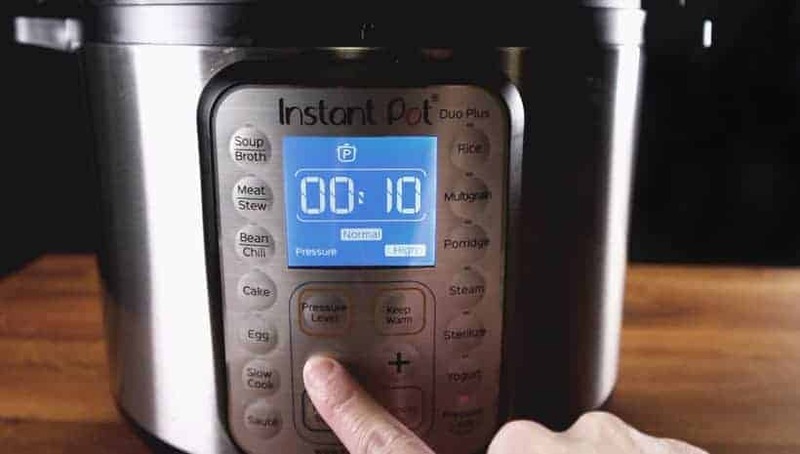 For newer version, press “Saute” button twice. Wait a few minutes until the cured meat begins to release oil. 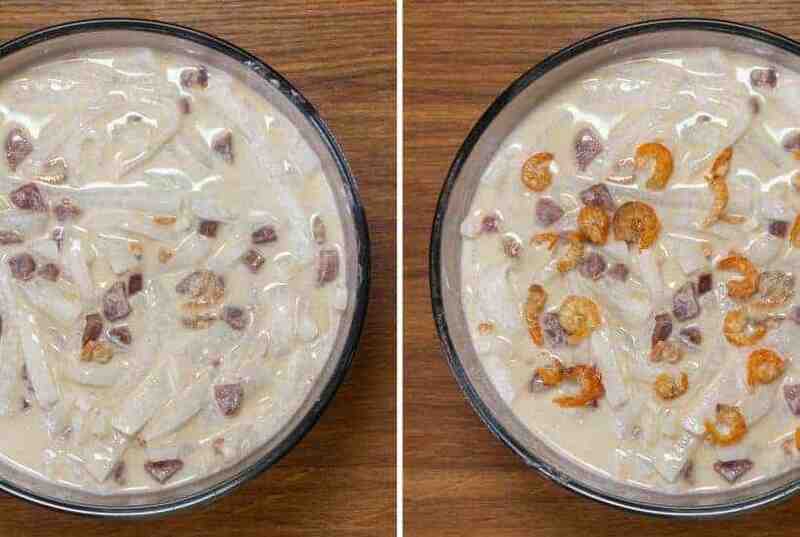 Then, add in 2 - 3 tbsp (30g) dried Shrimp (蝦米) and optional 10g cooked conpoy (乾瑤柱). At the 3 - 4 minutes mark, add in 2 tbsp (30ml) peanut oil and 2 tsp (10ml) roasted sesame oil. Saute for another minute. Add in cooked turnip and all the turnip liquid (if any). Let them cook for another 2 minutes. 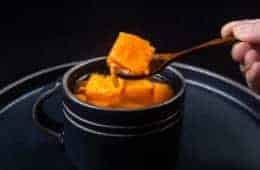 Ensure to completely deglaze the bottom of the pot with a wooden spoon. 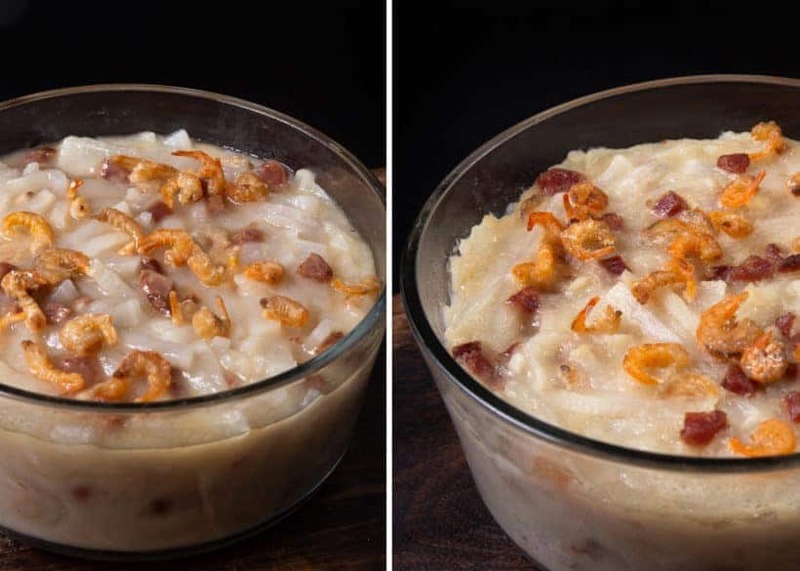 Create Turnip Cake Batter: Pour ⅓ portion of the hot turnip/cured meat mixture in the rice flour mixture. Mix thoroughly with a spatula. *Pro Tip: You don't want to pour all the turnip in at once because the heat will cook the rice flour mixture. Pour another ⅓ portion into the rice flour mixture and mix thoroughly again. 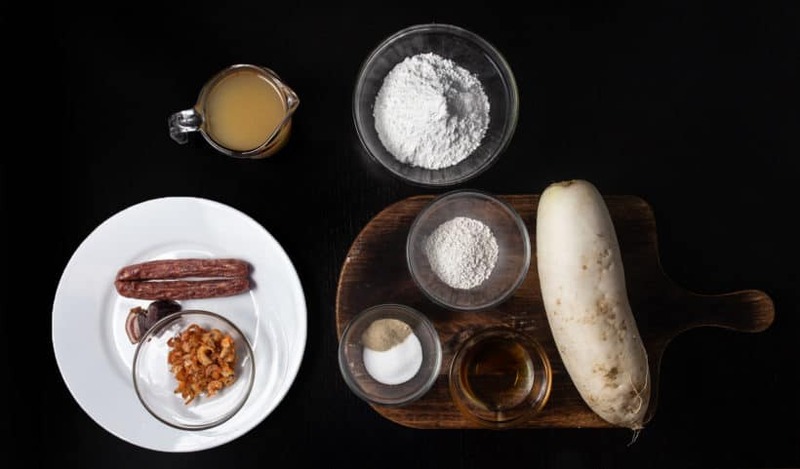 Repeat this one more time, so all the turnip, cured meat, and liquid are added into the rice flour mixture. 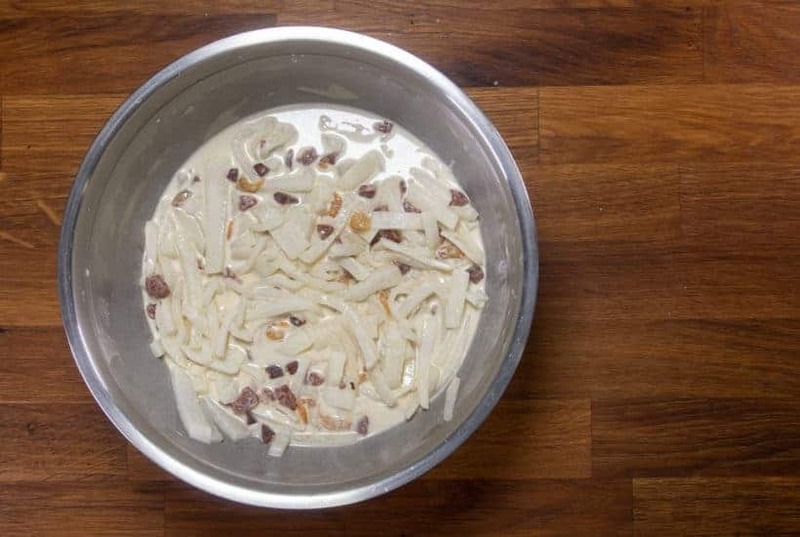 Mix thoroughly, then pour the turnip cake batter in a cake pan. Add some more dried shrimps on top. Ingredients for this yummy Instant Pot Turnip Cake. *Pro Tip: You can get all the ingredients in your local Chinese grocery store. *Note: The additional umami-boosting ingredients can vary depending on your preferences. 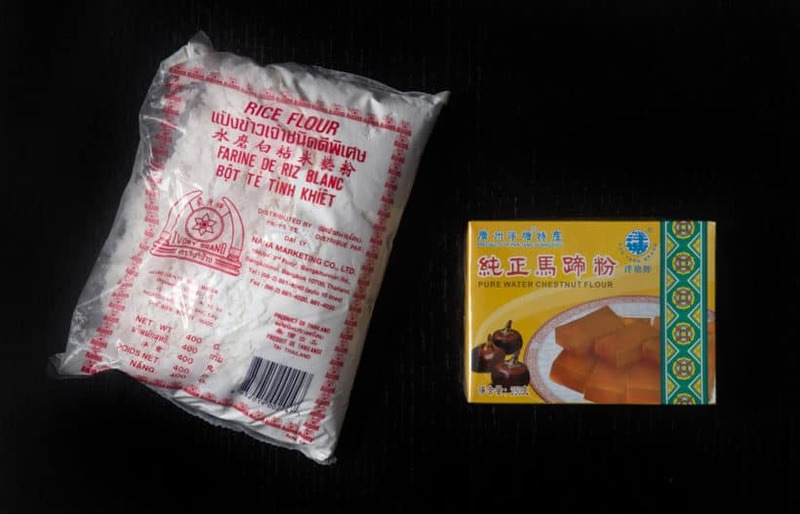 Here are what the Rice Flour and Water Chestnut Flour packages look like. 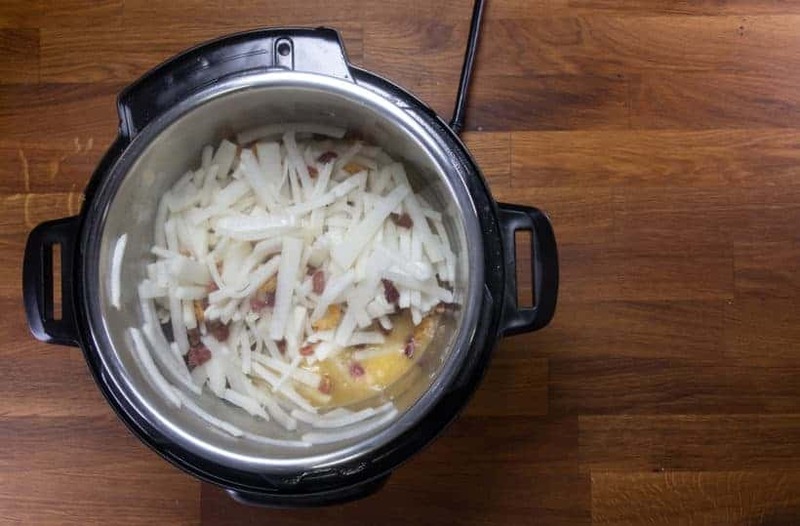 Add 1 cup (250ml) cold water and a trivet in the Instant Pot Inner Pot. Layer the stainless steel bowl of 1.45lb (650g) Daikon / Chinese turnip julienne on the trivet. Close lid and turn Venting Knob to Sealing position. Pressure Cook at High Pressure for 10 minutes + Quick Release. Turn Venting Knob to Venting Position to quickly release the pressure. 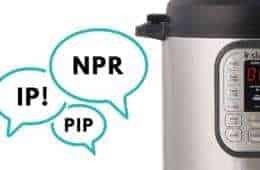 While the turnips are pressure cooking in the Instant Pot, create the Rice Flour Mixture. 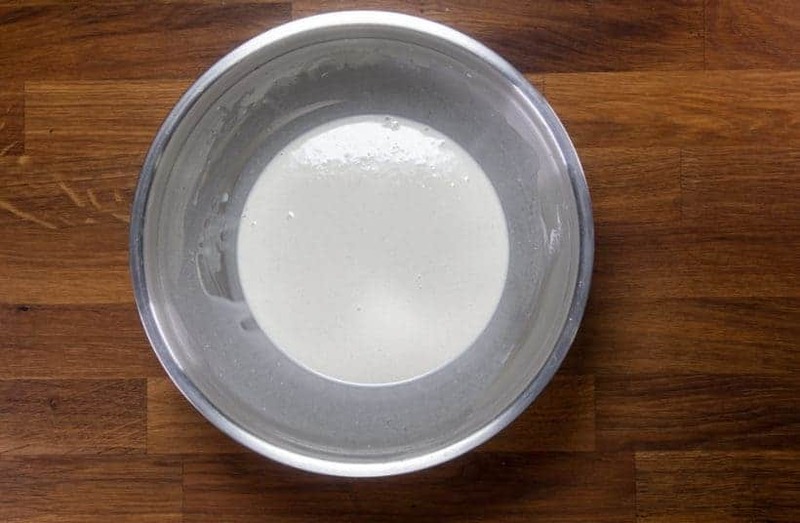 In a large mixing bowl, add 1/3 lb (150g) rice flour, 2.5 tbsp (30g) water chestnut flour, 1 tbsp (15g) sugar, ½ tsp (1.5g) white pepper, 1 tsp – 1.5 tsp (5g – 7.5g) table salt. Give it a quick mix with a spatula. Pour ⅓ portion of the unsalted chicken stock into the rice flour mixture. Mix thoroughly with a spatula. Pour another ⅓ portion of the unsalted chicken stock into the rice flour mixture and mix thoroughly again. 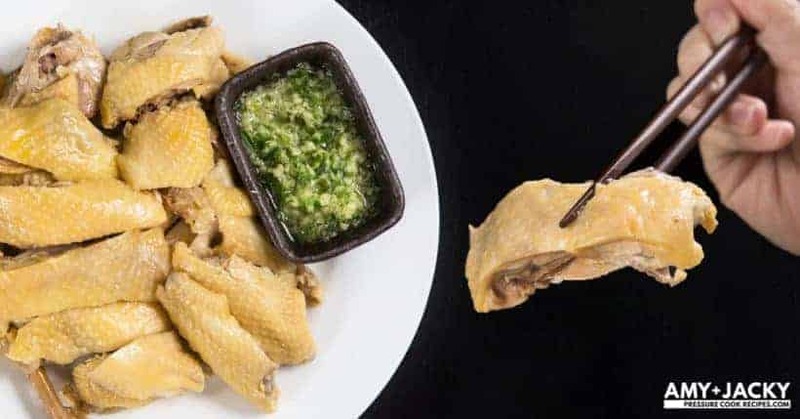 Repeat this one more time, so a total of 1 cup (250ml) unsalted chicken stock are added into the rice flour mixture. 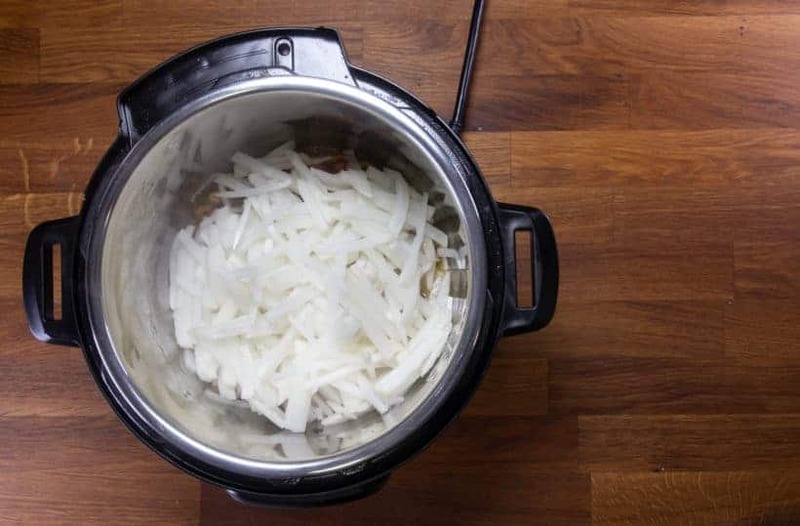 After the turnip is done pressure cooking, remove the turnip and trivet from the Instant Pot, then set aside. 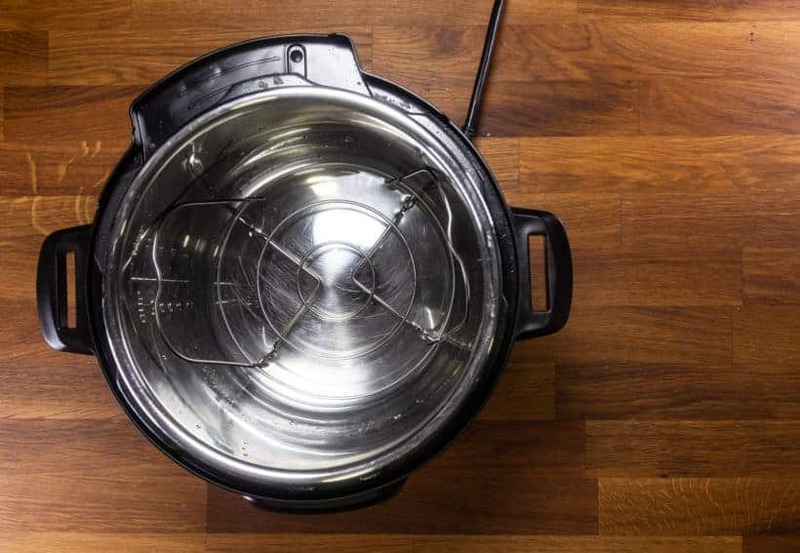 Discard the water, then towel dry the inner pot. 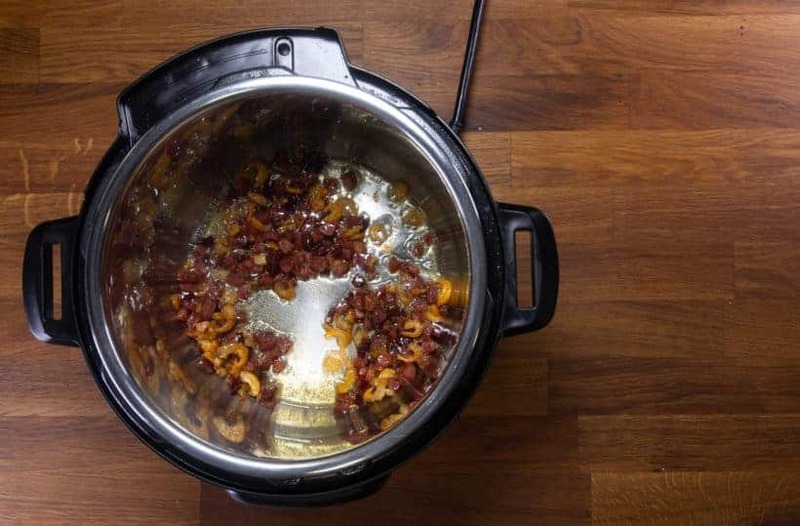 Add in 2 (80g) chopped Chinese Sausage (臘腸) and 2.5 tbsp (40g) chopped Chinese Cured Meat (臘肉). 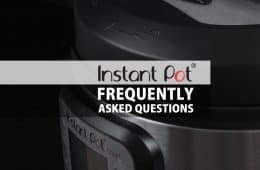 Heat up Instant Pot using Sauté More function. Wait a few minutes until the cured meat begins to release oil. 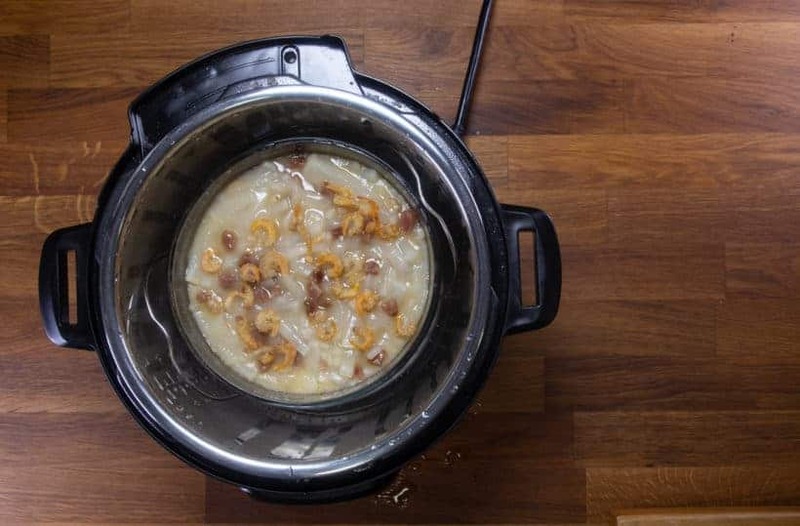 Then, add in 2 – 3 tbsp (30g) dried Shrimp (蝦米) and optional 10g cooked conpoy (乾瑤柱). At the 3 – 4 minutes mark, add in 2 tbsp (30ml) peanut oil and 2 tsp (10ml) roasted sesame oil. Saute for another minute. Add in cooked turnip and all the turnip liquid (if any) from the stainless steel bowl. Let them cook for another 2 minutes. 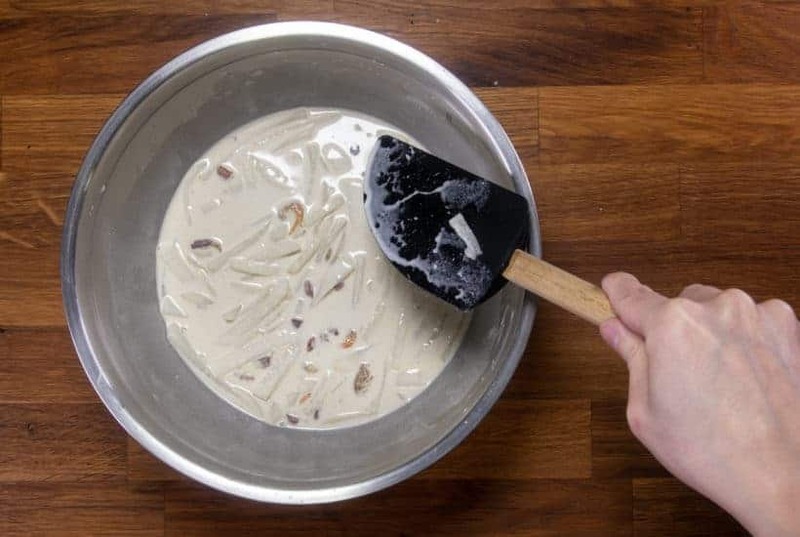 Make sure to completely deglaze the bottom of the pot with a wooden spoon, so all the flavor gets mixed into the liquid. Pour ⅓ portion of the hot turnip/cured meat mixture into the rice flour mixture. *Pro Tip: You don’t want to pour all the turnip in at once because the heat will cook the rice flour mixture. Pour another ⅓ portion into the rice flour mixture and mix thoroughly again. Repeat this one more time, so all the turnip, cured meat, and liquid are added into the rice flour mixture. 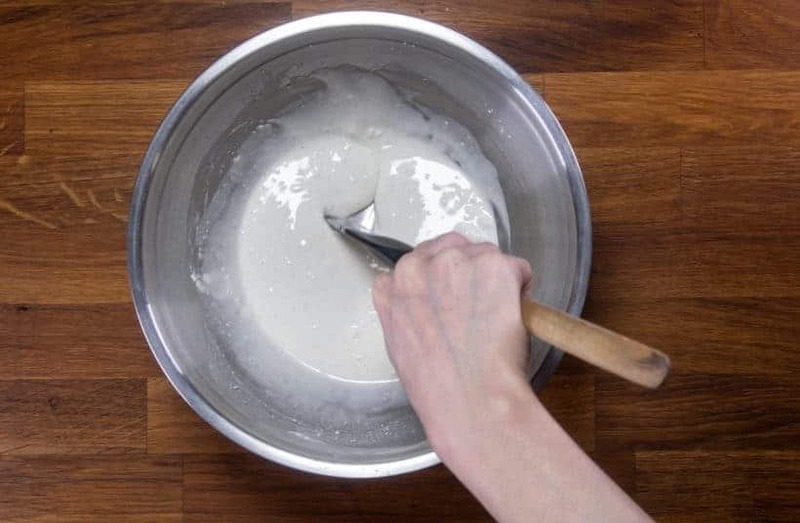 Mix thoroughly, then pour the turnip cake batter in a cake pan. Add some more dried shrimps on top. 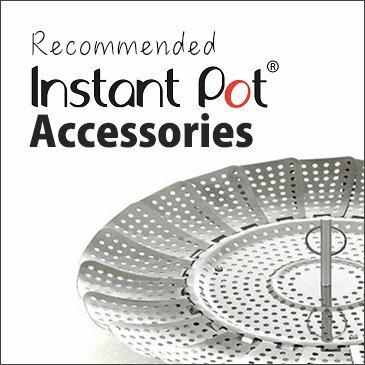 Clean the Instant Pot inner pot. Layer the turnip cake pan on the trivet. Pressure Cook at High Pressure for 32 minutes + 20 minutes Natural Release. 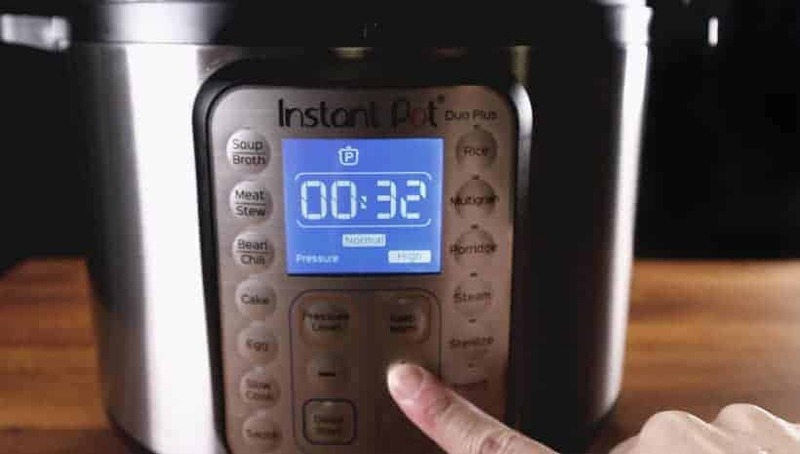 After 20 minutes, release the remaining pressure by turning the Venting Knob to Venting position. *Note: The turnip cake will look super wet when you take it out of the Instant Pot. To let it set, cool completely to room temperature and chill in the fridge for at least 4 hours. 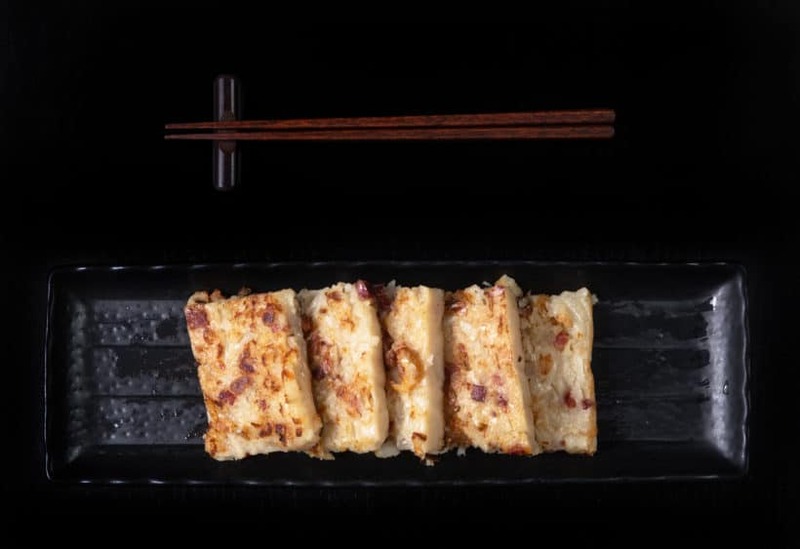 Once chilled, cut turnip cake into ¾ inch thick pieces. 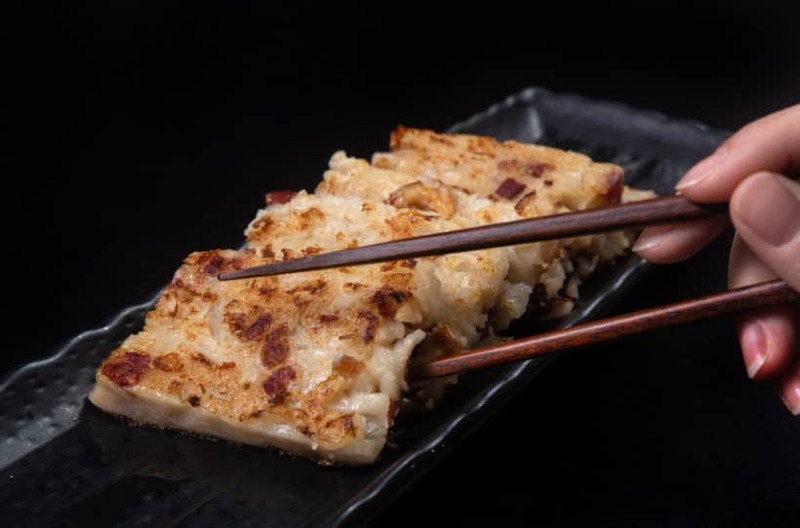 To serve, brown turnip cake pieces on a medium-low heat skillet with peanut or vegetable oil. 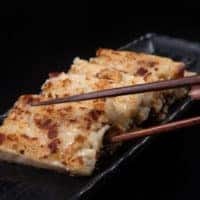 If you like, you can enjoy the Turnip Cake with Sweet Hoisin Sauce, Tahini Sauce, or Hot Sauce. Thank You VERY much for including ‘conversions’ !!! Now.. I will use your delicious recipe. 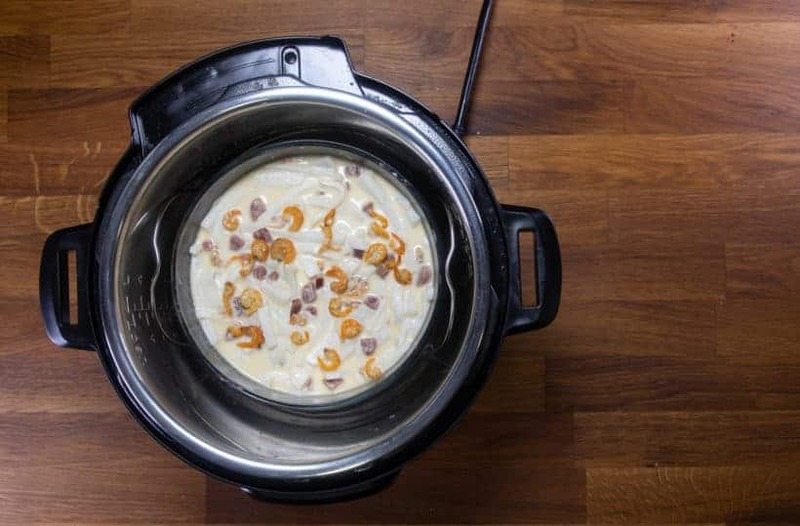 Can you include ‘conversions’ in all your future recipes too ? I have added the conversion to the recipe. That is a diakon radish in the picture for the turnip. Is that what is considered a ‘turnip’ for this recipe? Yes, it is actually Chinese turnip/radish. Daikon is very similar and will work as well. Please use measuring cups and spoons when writing your recipes. It takes too long to convert the measurements. I’d like to clarify the type of turnip. From your photos your turnip looks like what I call a “daikon”. In the west of Canada we have turnips like a big yellow one officially called a rutabaga, and a small white and purple one known as a turnip. So must I use a daikon? I have corrected the turnip in the ingredient list. Haven’t tried potato starch. Wheat starch will work, but chestnut flour will have better texture. Would love to make these but living in the U.S. we’re not familiar with metric measurements. Guess, we’ll continue to buy them at Dim Sum restaurants until I locate recipes with non-metric measurement. 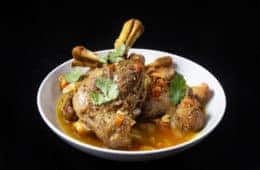 You shouldn’t rate a recipe you haven’t tried. I live in the U.S. as well – it’s not hard to get a food scale! Well, for me it’s the other way around. 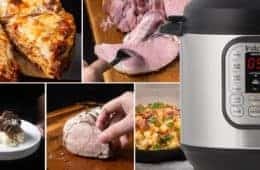 Living in EU I find way too many delicious recipes providing only imperial measurements (which I am not familiar with, but surely can use simple online calculators to “translate” them). That’s why personally I love this blog/website! 🙂 I guess there are always two sides of the same coin.